Established in the late 1980’s as a veterinary practice, Vale Vets has established a strong reputation within the local area of Morden built on trust and first class services. We combine a passion for seeing happy and healthy pets with a dedication to providing an expert service that you can really rely on. A large number of clients from Morden bring their pets to the Vale Veterinary Clinic in Streatham Vale. Ours is a modern well equipped practice and provides ample on street parking so it is easy for clients to park near to the surgery – either right outside or on Farmhouse Rd, a cul-de-sac two doors down from the clinic. The 60 and 118 buses stop just outside the surgery so it is an easy journey for anyone coming by bus. Vale Vets have treated many patients throughout Morden, also covering the areas of Streatham, Balham and Croydon and further afield. Why not drop by for a quick check up? By building long lasting, efficient relationships with our local patients and their owners, Vale Vets offers a range of comprehensive services designed to make your pets lives as carefree and healthy as possible. Whether you are looking for advice on how to properly train a new pet, you are concerned about a pet’s eating habits, or you just want a general health check, we can help. Our fantastic pet care plan was designed with client in mind in order to give them peace of mind when scheduling appointments. Pet treatment payments can seem daunting, particularly if you have a cat or dog which requires a lot of attention, which is why our pet care plan helps to put you at ease. The plan includes a variety of free treatments, free checkups and a selection of free vaccinations to help keep your pet healthy. You will also be eligible for a further 10% discount on all other treatments! For a full list of our services and treatments, please visit our services page where we go into more detail about the various treatments we offer. Having provided first class veterinary services to patients and their owners for over 25 years, Vale Vets promises an expert service that will ensure your pets stay happy and healthy throughout their lives. If you live near Morden, including Mitcham and Wimbledon, rest assured Vale Vets cover these areas too. If you have any questions, please contact us by emailing info@valevets.com where we will get back to you as soon as possible. Or to talk directly to an expert, call us on 0208 679 6969 and a member of our professional team will happily answer your questions. 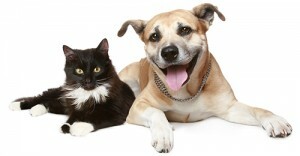 If you are looking for vets in Morden but require a modern, friendly and approachable practice contact Vale Vets today. We look forward to hearing from you.